Y.S.Jagan Mohan Reddy - Son of former Chief Minister late Dr Y.S.Raja Sekhara Reddy , has made all his efforts to become the Chief Minister of the state (Andhra Pradesh) but he gained nothing...What went Wrong with Jagan ? Why could'nt he become a good leader or atleast a good politician ? 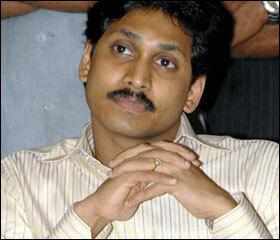 Jagan's political journey is quite short with most of it being governed by his father late YSR . Jagan started his political career in 2004 ( where he campaigned for congress in the elections ) and got himself projected as a leader for the youth wing of congress (We know how weak the wing is :)). He was elected as a Member of Parliament from Kadapa Constituency in 2009 (Where his family has a good foothold) and started his life as a active politician. Other than this Jagan had no significant achievements being a politician. Jagan built up a business empire with the help of the power his father and he had in a very short span of time. Jagan started Sakshi Group, held a good amount of share in Bharati Cements, Sandoor Power, Jagathi Publications, Brahmani steels and other industries..... With the help of his fathers power, Jagan could get the Market capitalization of these companies increase in such a way that no other Corporate house could do in the last century... From what we hear from sources , Jagan is worth 1,00,000 crore approximately (20 Billion USD ??)... With the help of power, Y.S Raja Sekhara Reddy and his family acquired massive wealth in a short span of 5 years (Unbelievable but true..)..
After his fathers demise, Jagan didn't want to loose the power as managing his businesses and wealth will become difficult for him. Rather than feeling sorry about his fathers death, Jagan started crawling for the post of Chief Minister right from the day of his fathers death. He got signatures of the MLA's of the party so that he can show that he has strength to become the chief Minister.. This was Jagan's first mistake in the eyes of Higher Party authorities. From then on, Jagan tried all the ways in projecting himself as eligible candidate for the post of Chief Minister. He showed his interest in going to any extent to become a chief Minister. Being the son of a politician , Jagan should had understood that its not only the acceptance of MLA's but the acceptance of people that matters the most. Jagan should had got himself publicized as a leader of the masses just like his father with the help of media houses rather than appearing as a person crawling for power. Jagan should had taken a stand to wait until he gets the right projection as Peoples leader. Jagan's aggressive ways to become CM has gained some negative image among the other communities. Jagan started with pleading the High Command but ended up in forcing them to make him the Chief Minister. To Silence Jagan, When Rosaiah was made CM, Jagan and his supporters did everything to not let Rosaiah continue in office. They portrayed him as a incapable person although he did a very good job in getting back states treasure into a acceptable position. Y.S.Raja Sekhara Reddy's schemes caused unacceptable damage to states treasury (Thats a complete different story :) ). Jagan also planned a series of public events across the state under the Name " Odarpu Yatra"
where he wanted to meet people (who had been reportedly said to have committed suicide in response to his fathers death). The real motive was to get himself projected as a successor of his father. He wanted to do it with no publicity to Congress. When the higher party authorities asked him for the same, he started publicizing that the higher command is stopping him from doing this Odarpu Yatra. In last time elections, YSR got some of his relatives and close acquaintances elected as MLA's. Most of them were being supported by YSR family & Co. financially at the time of election. Jagan made some of them attend his "Odarpu Yatra" to show of his strength and to black mail the high command. Jagan tried to meet Sonia Gandhi again but she made it very clear that he stand nowhere now to become the Chief Minister. With the inclination of higher command towards some other person even after Rosaiah's resignation, Jagan's aggression turned into craziness to become the chief Minister. Finally Jagan had to resign along with his mother and come out of congress as he could not climb the hill any more..
After his resignation, Jagan started to project himself as a Saviour of government today by saying that he is not going to ask his followers to resign.. but it appears more of blackmailing rather than saving the government. He asks his followers to stay with the government but he makes a announcement that he will roll out a party in 2 months.After that Jagan undertook a Fast for farmers and made 20 + MLA 's (his community leaders and relatives) attend it . Jagan is trying every option so that he can get what he want. But he never got the fact that beyond all this its the people that matters. May be there are some loyalists of his father who might vote on his name but its not going to be everyone again. YSR with his good strategy and management got into peoples nerve and could win the last election. But who will vote for Jagan (May be some loyalists of his community ) ? What will people see in him to vote for ? A person crawling for power ? A corrupted politician riding on huge wealth ? A bad strategist who could not devise a single idea correctly ? A aggressive crazy person trying to get something he don't deserve ? 1. How he accumulated so much wealth ? How to get it stripped of him ? 2. Who are his loyalists and How can they keep them away from him ? 3. How to retain other leaders from his community ? 4. How can Congress retain its name and get YSR & family co. not being projected as its captain anymore ? The government needs some of Jagans loyalists today to run. But if elections happen next time , very few of these Jagan's loyalists will win again. But Jagan might have a alternate plan to look towards BJP with the help of Bellary Reddy Brothers if Congress don't win majority of seats in elections. If Jagan gets even 5 MP seats with the help of his loyalists, he could play a key role at the centre. Thats why he made a announcement today that he will contest as a MP again. Whatever he might think, but people should think before they vote for someone like him next time. There is a limit for everything and Jagan has crossed it. He don't deserve to be a leader with the kind of attitude he has. He is not going to serve the state. 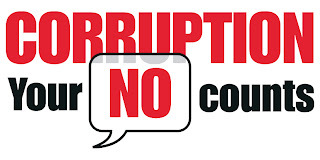 Say No to Corruption People. He is Crazyyyyyyyy..
BS......it shows tht ur a Staunch Loyalist of Congress.....We Andhra People dont want a Dictatorship...We need a Telugu Bidda to rule our State.....And we need a Young & Dynamic leader....We see them all in YS Jagan. Some one has to be ther against Central Party then only Andhra get benfit..Wher YSR Suceed in this. you are thinking that any body can earn money but in case of jagan is not correct .and you are asking for what we vote for jagan? He is the only person will successfully implement the ysr schemes and don't think about community .you see so many ministers from his community trying to shade his image.You should have to think this is the political game here strategy is only the weapon not community.He want to become the c.m. with support of people only.He has the right destination in a right way towards his aim. He is not the crazy to become c.m. he is the craze for the a.p people to become c.m.